1" diameter flat disk golf ball marker available in 2 colors. 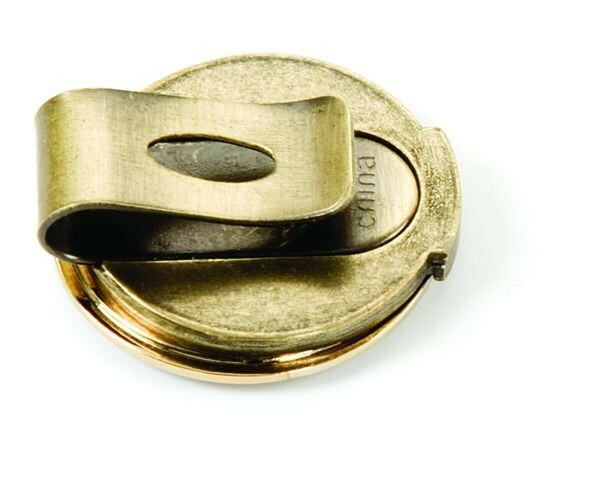 Features a removable magnetic ball marker with tempered springs that secure the clip to a hat or belt. Includes ColorDome imprint. Product colors: Antique Gold, Antique Silver.